Fish fry is extra than a splendid way to prepare dinner a tasty dinner. 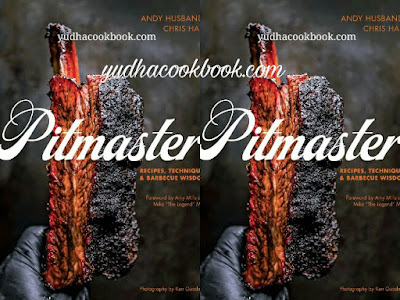 For a true pitmaster, barbecue is a manner of life.Pitmaster is the definitive guide to becoming a fish fry aficionado and pinnacle-shelf cook dinner, whether you're new to the grill or a pro vet. Recipes begin with fundamentals, like cooking Memphis-style ribs, and expand to smoking complete hogs North Carolina style. There's no unmarried route to turning into a pitmaster. fish fry fans are equally inspired by way of eating places with a commitment to nearby traditions, opposition barbeque champions, families with a multi-generational culture of roasting whole hogs, and even amateur outdoor fans.This definitive series of barbeque understanding will leave you in absolute confidence why professional cooks and outside cooks alike consume, live, and breathe barbecue. In the world of barbecue, 17th Street Barbecue pitmaster Mike Mills is affectionately known as “The Legend.” Called “America’s most-revered barbecue restaurateur,” he’s a four-time World Champion and three-time Grand World Champion at Memphis in May, otherwise known as the Super Bowl of Swine, as well as Grand Champion at The Jack. Mike is the most decorated pitmaster in America. He has been inducted into the Barbecue Hall of Fame, named a Pioneer of Barbecue at the Jack Daniel’s World Invitational, and awarded the National Barbecue Association Award of Excellence. He’s the only pitmaster in the world with top-security clearance to board Air Force One and whose oral history was recorded for posterity at the Smithsonian Institute. Amy Mills was raised up on smoke, sauce, and Magic Dust®. Heiress to the 17th Street Barbecue empire, she’s the industry's go-to girl for all things barbecue. Recipient of the coveted Barbecue Heroine prize, she leads 17th Street alongside her dad, Mike Mills. She also runs OnCue Consulting, the only barbecue business consultancy in the world, offering seminars and training in the culinary techniques behind great barbecue. She’s a featured judge on various barbecue shows such as Best in Smoke, Kingsford Invitational, and Smoked, as well as co-star of the Mills family’s own digital series, Peace, Love, and Barbecue, which debuted on YouTube in 2016. Peace, Love, and Barbecue, co-authored with her dad, is considered a classic in the genre, was nominated for a James Beard Foundation award, and awarded the National Barbecue Association Award of Excellence. Their next book, Praise the Lard, will be published in May 2017.